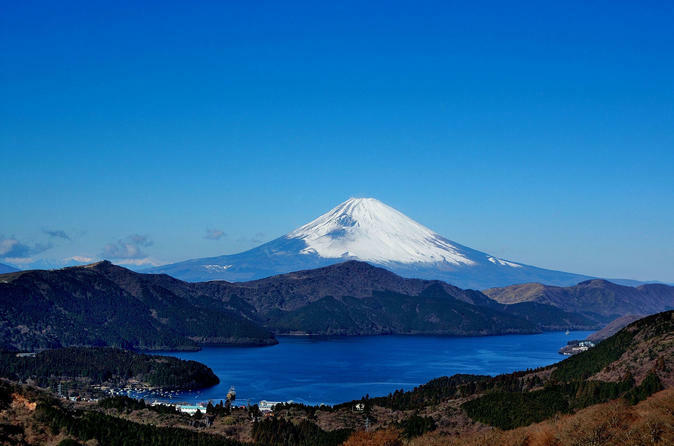 Hakone is the best place for one day trip from Tokyo with its easy access. It takes just one and a half hour by a limited express from Shinjuku. We first visit Hakone Shrine, which is popular with a red torii gate rising from Lake Ashi. And then we enjoy 30 minutes boarding on a pirate ship on the lake. Weather permitting, you can see magnificent figure of Mt. Fuji. After lunch, we take Hakone Ropeway to Owakudani, or Great Boiling Valley. You can see white smoke rising strongly from the slope of the valley. Another attraction here is, of course, the panoramic view of Mt. Fuji. It’s almost perfect cone shape will be your unforgettable memory in Japan. Lastly, we stop by Hakone Open-Air Museum, which opened in 1969 as the first outdoor museum in Japan. More than 100 art works are displayed on the green field. Hakone is filled with various attractions from natural beauty to hot springs, rich history, and arts. You can't miss them!